The ancient custom of celebrating church anniversaries in the villages of Old Bavaria has lived on for many hundreds of years. Originally thanksgiving days marking the consecration of places of worship, church anniversaries are nowadays observed unvaryingly on the third Sunday of October. 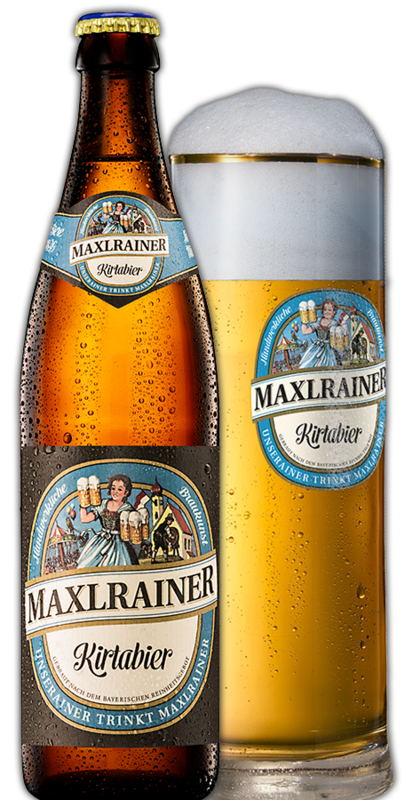 For the rural population this has always been one of the red-letter festivals in the year and served as an incentive to the SCHLOSSBRAUEREI MAXLRAIN to produce a full-bodied Anniversary Brew or KIRTABIER, as it is called, to celebrate the occasion. The fine blend of exquisite light and dark malt varieties imparts a fresh malty aromatic flavour to this special brew. Serving it with crispy roast goose goes a long way to enhancing the taste. A prize-winning beverage, KIRTABIER Anniversary Brew has qualified for the DLG Gold Medal many times over.